Our Story | Paint It Like New! 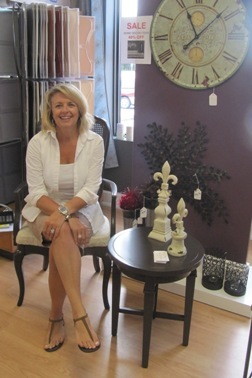 Discovering a need for furniture re-spraying in the GTA and the Golden Horseshoe, Janet put together a business plan and strategy to capitalize on a market she believed had incredible potential — providing quality paint re-spraying of indoor/outdoor furniture at an affordable price. Paint It Like New! had it’s grand opening in Burlington in 2009. The budding company grew quickly, enjoying tremendous success with a steadily growing list of satisfied clients. Since 2009 Paint It Like New! has been involved with projects for CityLine, Income Property, Love It or List it, Bryan Baeumler shows, Style at Home Magazine, Canadian House and Home, Chatelaine Magazine and featured in the Toronto Star Newspaper. Contact Paint It Like New! and discover how furniture respraying can save you money and save the planet.